Real. Rugged. Ready for Anything. The Toyota 4Runner mid-size SUV seamlessly blends rugged 4x4 capability with a refined interior. It’s ready for all of your adventures. This 7-Passenger SR5 Upgrade is off-road ready but also delivers a thoughtful complement of premium comfort and convenience features. 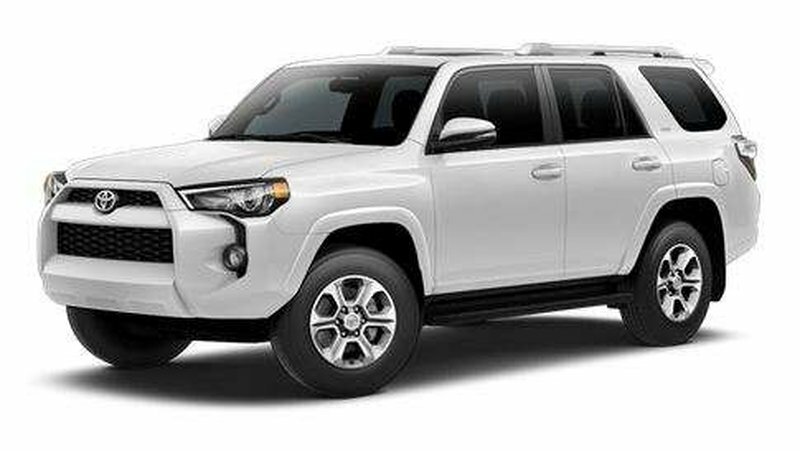 This is the base model of 4Runner and standard features include 4.0 L V6 Engine and One-Touch 4WD, 6.1 inch Touchscreen Audio with Navigation & Backup Camera, Running Boards & Roof Rails, Towing Hitch and Trailer Sway Control, SMS-to-speech and Email-to-speech, Advanced Voice Recognition, SofTex Leather Seating Surfaces, 8-way Power Adjustable Drivers Seat, 4-way Power Adjustable Passenger Seat, Heated Front Seats, Outside Temperature Gauge, Tonneau Cover, Cruise Control, Garage Door Opener, Toyota's Star Safety System and more! Collingwood Toyota can provide you with any new vehicle from our model lineup and we do not have any administration fees on new vehicle purchases. Ask about the other value added services we provide with our More For You Advantage on new vehicle purchases. All vehicles come with a complimentary full tank of gas and more! Corolla, Camry, Prius, Tacoma, Tundra, Highlander, Sienna, Rav4, Toyota 86, Corolla Hatchback, Yaris and more. If you do not see what you are looking for, do not hesitate to call, as we can get it for you! We believe in building lasting relationships by providing guidance and fair deals. The Lockharts have been providing high quality customer service experiences in the automotive industry for 70 years. Licensing and taxes are additional fees. Rebates may apply in pricing. Call for great finance and lease rates. Some vehicle requests may require factory order or dealer trade.